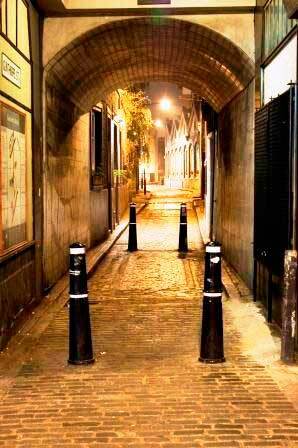 The Jack The Ripper Walking Tour - A Journey Through The Abyss. 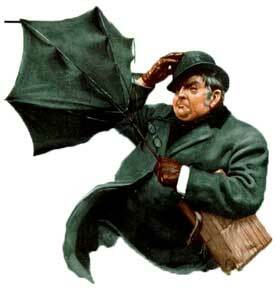 Ask most people to name a famous Victorian and you'll probably get one or all of three answers. Queen Victoria, Charles Dickens or Jack the Ripper. The Jack the Ripper murders took place in 1888, eighteen years after Dickens death in 1870, and the area where the ripper's infamous crimes occurred was a district of London that Dickens had known well and about which he had written on many occasions. Indeed, numerous of the social evils that the Whitechapel Murders exposed were problems that Dickens had constantly warned against throughout his career as a writer, and many Londoners came to see the crimes as an inevitable consequence of the squalor, vice and villainy that the authorities had allowed to develop, unchecked, on the very doorstep, so to speak, of the City of London. 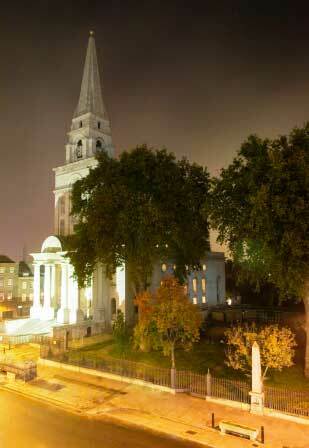 Our Jack the Ripper Tour explores the streets of the East End of London where the murders occurred and enables you to delve in to the alleyways, courts and streets that formed the backdrop against which the dreadful saga of the crimes unfolded. It offers you an intelligent and thought provoking investigation that deals with the facts, all the facts and nothing but the facts as it twists its way through the streets of the East End. Here, in the latter years of the 19th century, a whole stratum of Victorian society attempted to eek out whatever existences they could, and tried to survive using any means that were at their disposal - be it through honest toil, nefarious activities, such as theft and prostitution, or by simply giving up and throwing themselves on the mercy of an uncaring and brutal society that, in return for a few pennies worth of charity, would judge them harshly and treat them with disdain. Until, that is, an unknown miscreant, entered this dreadful abyss and began a murderous reign of terror that made society as a whole sit up and take notice of London's East End, and left those who had never even ventured into the area, and who had no intention of ever venturing into the area, quaking in fear as he carried out crime after crime with an apparent impunity that left the forces of law and order baffled, bickering and utterly humiliated. This is the reality of the so-called autumn of terror, and this tour, which is led by the World's most respected authorities on the case - authors such as John Bennett, Philip Hutchinson, Lindsay Siviter and Richard Jones - is a truly dramatic reconstruction that weaves gripping social history together with a fascinating murder mystery to create an experience that is both chilling and fascinating and which will provide you with a first rate insight into the full story of the Jack the Ripper murders. 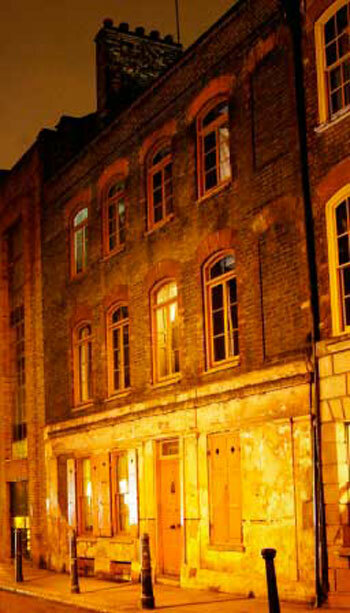 The tour follows a route that will enable you to begin at the beginning as you enter an atmospheric labyrinth of narrow and sinister alleyways that will lead you to the spot where Emma Elizabeth Smith, the first of the Whitechapel Murders victims, was attacked in the April of 1888. She, almost certainly, was not a victim of the killer who became known as Jack the Ripper - your guide will tell you who was probably responsible for her murder - and she would, no doubt, have been long forgotten, had it not been for the start of a later murder spree, that began in the August of that year, when Martha Tabram was murdered in the cobbled little alleyway through which your guide will then lead you at the start of the tour. There is considerable debate as to whether or not Martha was a ripper victim and you will hear the cases both for and against her inclusion amongst what are known as "the canonical five." What is certain, however, is that her death started to attract attention to the fact that something was not quite right in the East End, and a general feeling of unease began rippling through the streets you will be exploring. 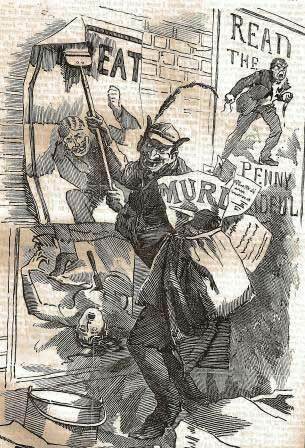 When, just a few weeks later, another murder took place, just a short distance from the site where Martha Tabram had met her grisly death, that feeling of unease gave way to outright panic and the Jack the Ripper scare was, well and truly, underway. From this point on, you will be transported back to that long ago autumn to become an observer of the police investigation into the crimes that shook Victorian society to its very core and you will watch with intrigue and horror as the story unfolds before you. To help you get an even better flavour of the area as it was then, your guide will also pass out genuine Victorian photographs of the very places at which you will be standing that will show them as they appeared at the time of the murders. 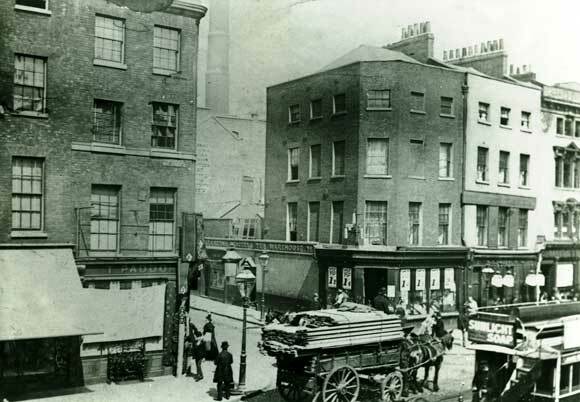 This way, you can, not only get to see the streets as they are today, but you can also look back at them as they were in 1888 and be able to see for yourself which landmarks or locations have survived the march of time and are still recognisable today. How's that for authenticity? Step by step you will edge further into the heart of Jack the Ripper's killing ground to get a first hand glimpse of the problems that beset the long ago police officers as they fought a desperate battle to, not only halt the killer's murder spree but also to contain the panic that gathered momentum in the wake of each atrocity and to prevent it from erupting into full scale rioting. You will visit many of the actual sites on which each one of the murders took place. You will see the former pub where Mary Nichols, the first definite victim, drank away the money that would have paid for a bed for the night and kept her from the clutches of the ripper. You will wander past buildings and twist and turn your way through streets that are, pretty much, still as they were in 1888. You will stand outside the pub where the people of the East End attempted to forget the horror of the monster in their midst, and where at least two of the victims are known to have drunk, shortly before they were butchered. You will pass the former convent where Mary Kelly, the last of the victims, sought shelter shortly before her murder. You will huddle around the doorway where the police found a sinister message scrawled across the brickwork as they followed hot on the killer’s trail in the wake of his so-called double event when, in the early hours of the 30th September 1888, he struck twice in the space of an hour. As you will hear, as you snake your way through the streets of Spitalfields and Whitechapel, the area where the murders occurred was one of the 19th century's most densely populated and crime-ridden quarters; and the story of how it became like that, of how the women who were to become the victims of Jack the Ripper ended up there, and of how the murders focused attention on the social evils in a district that Dickens had warned about many years before, is as fascinating as it is chilling. 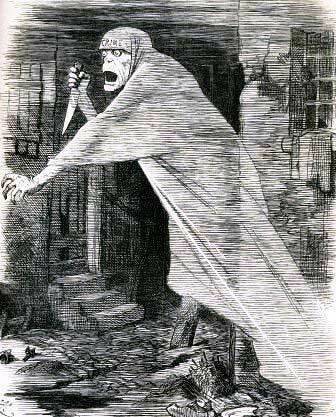 But, to get the full measure of the drama of the Jack the Ripper mystery, you need to be taken around by a guide who is a great storyteller and who possesses that rare ability to hold you spellbound with the drama of the tale. Get that part of the equation right and streets themselves, steeped as they are in history and imbued as they are with bags of atmosphere, will do the rest. With John, Lindsay, Philip and Richard as your guides you'll be in the company of the best storytellers in the business. Their skills as orators will, quite simply, spirit you back in time and will bring the whole story to vivid and terrifying life. And, given the fact that these guides are all acknowledged experts on the mystery, you will be able to ask questions, discuss suspects, wonder aloud about his true identity and, in general, enjoy a much more rewarding experience, safe in the knowledge that you are in the company of a guide that is up to speed on all the latest information about this fascinating case. In fact, all in all, you'll enjoy a thought provoking tour that is both intelligent and creepy and which, at the same time, steers clear of the gimmicks and sensationalism that have become the stock in trade of so many Jack the Ripper tours in recent years. In short, if you are the sort of person who likes a good mystery, who enjoys history and who wants an accurate retelling of the full story of the World's most infamous, and best known, whodunit, then this is, most certainly, the tour for you. When planning your journey to the start of the Jack the ripper tour, please allow 3 minutes for every station you will be through and then add 10 minutes to allow for any travel delays. I've always held a fascination with the Jack the Ripper mystery and, over the years, I've really enjoyed getting to know the streets of the East End of London where his murders occurred. I sometimes find it hard to believe that thirty two years have gone by since I led my first tour of the streets of Whitechapel and Spitalfields. Yet, there are pockets of the East End that haven’t changed at all, and there are houses and streets where it is easy to feel that you've been transported back to the 19th century and you wouldn't be in the least bit surprised if a sinister figure suddenly emerged from the shadows and lunged towards you with murderous intent! These are the streets that this tour explores. The old 18th century thoroughfares that are so eerily reminiscent of that long ago era of gaslight and terror that we often bump into film crews filming period dramas in them as we go round. Indeed, if you saw the recent Ralph Fiennes movie The Invisible Woman , which tells the story of the relationship between Charles Dickens and his secret lover, Ellen Ternan, then you will no doubt recognise the streets explored on this tour, as several of the scenes were shot around here. The tour is guided by some of the World's major experts on the case. The authors John Bennett and Philip Hutchinson - both of whom have written acclaimed books on Jack the Ripper and who, between them, have done more to further the field of Jack the Ripper studies than any other tour guides - and the leading researcher and crime historian Lindsay Siviter who, when she's not introducing people to the story of the Whitechapel Murders, works at the Metropolitan Police's Crime Museum, where she has access to major documents about the case. How's that for a major insight? One thing you will find when you join our walk is that we treat the subject in general, and the victims in particular, with a huge amount of respect. I am often dismayed to come across groups being led by guides who seem to take a great delight in ridiculing the plight of the women who the ripper murdered. At the end of the day these poor women were wives, mothers and daughters who, I and my fellow guides feel, should be afforded nothing but the deepest respect. To that end, you will find that, on our walk, we make it as much about the victims as we do about the murderer. So I hope we’ll have the opportunity of welcoming you onto our Jack the Ripper Tour and I hope that you’ll give us the chance to show you that, contrary to what many people believe, the story of the Whitechapel Murders is not cheap piece of sensationalism but is, rather, your opportunity to look into a particular section of the 19th century Metropolis, when a lone miscreant managed to send shock waves reverberating out of the area and send them coursing through the whole of the civilised World. The Jack The Ripper Tour can be booked as a private tour for your office social, tour group, or even as an outing with a difference for a group of friends or relatives.